Our little smartphones and not-so-little tablets have grown a lot for the past years. They are not only amazing tools for communication but also great at giving us access to information and giving us aid for specific tasks. Musicianship is one such task — the app stores are riddled with software that gives us the means to learn, compose, and even produce music. Here, we have an awesome little app for learning. TabBank is built to look like a simple note-editing app. However, with the help of a custom row above the keyboard, and a number of keypress combinations, one can quickly turn a simple song lyric file into a fully chorded-out version of it. This is useful for those who compose or those who are trying to transpose a song. But it can also work when you are learning a new piece — TabBank can import chords directly from the web! But it's not all just text and weird letters. 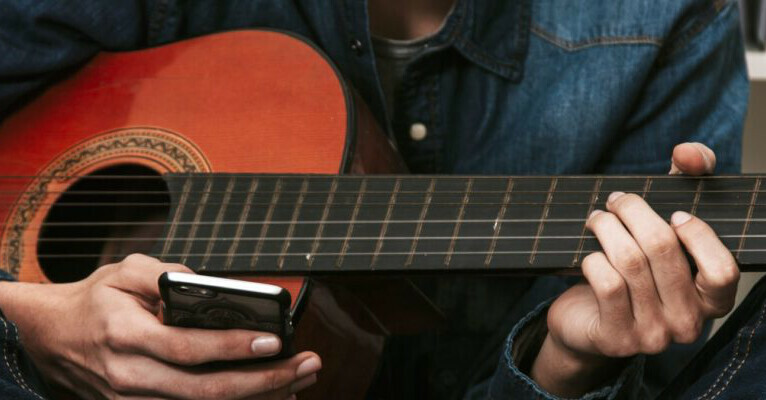 If you tap on a chord, you will hear it be played out and a small fretboard icon will appear, showing you exactly how said chord is played. So, beginners are welcome. For those of you that are a bit more advanced — you can actually edit chord inversions when in edit mode to make that D/F# sound just the way you want it to. Lastly, TabBank will also let you punch in tabs. The aforementioned keyboard interface switches to one that allows you to quickly start 6 new rows with dashes (the tab symbol for “strings”). Due to the nature of the editor, trying to tab out a full song is a bit unrealistic (doable, but will take a while). It's better used for short intro solos or bridge licks and the like. TabBank is currently only available for iOS, but the developer has plans to port it to Android with the rest of their apps in a few months. I'd rather listen and figure it out by listening...been doing that for years.